Jackson Labs Technologies has announced the latest upgrades to its GPS simulator and transcoder product line. Single-button GPS Week Number Rollover testing to test when GPS receivers will fail (hardly any will fail April 6; most older units will fail sometime between now and 2025). Single-button GPS receiver leap second testing: Some GPS receivers might have an issue operating properly when the next leap second happens after the upcoming April 6 week number rollover, and SimCon makes that trivially easy to check. Additional support for modern external GNSS receiver NMEA sentences for transcoding such as $GNGGA, $GLGGA, etc. 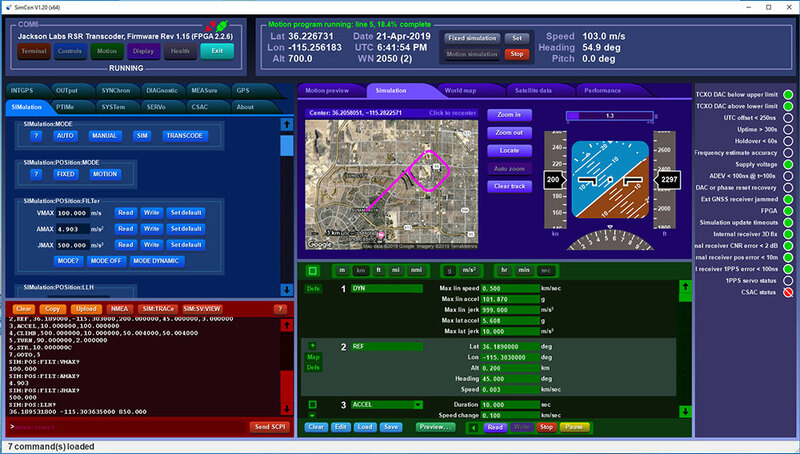 Improvements in GPS receiver switchover performance when switching from a fully GPS-denied area (running from INS) to GPS-available while transcoding in aircraft and vehicles. This was fine-tuned based on extensive flight tests with the Navy/Air force. Added support for the new Micro-Transcoder with its new Eval board. 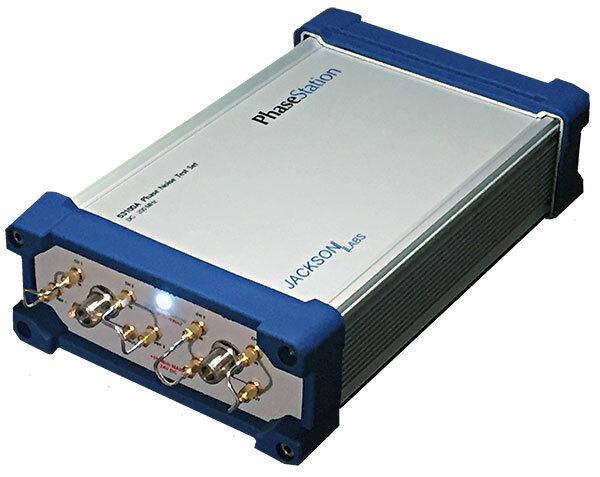 Jackson Labs also announced a new product line, the PhaseStation ADEV Frequency Stability phase noise test system (signal source analyzer). useful in testing signal performance in a host of products such as GPS or GNSS disciplined oscillators. useful to qualify and evaluate local oscillator (LO) performance for GNSS receiver design, including GPS TCXO evaluation and parametrization. useful in optimization of GNSS receiver Kalman filter design via the GNSS receiver 1PPS output signals. automatically synchronizes and syntonizes (calibrates) the internal dual oscillator DOCXO option to external GNSS receivers via 1PPS input.